Adorned your home with the spectacular, Baroque details of this handcrafted, Spanish colonial style console. The front of the console has four horizontal drawers, each with scalloped cut details on its sides, and centered in each drawer is a hand forged, iron, pull handle. 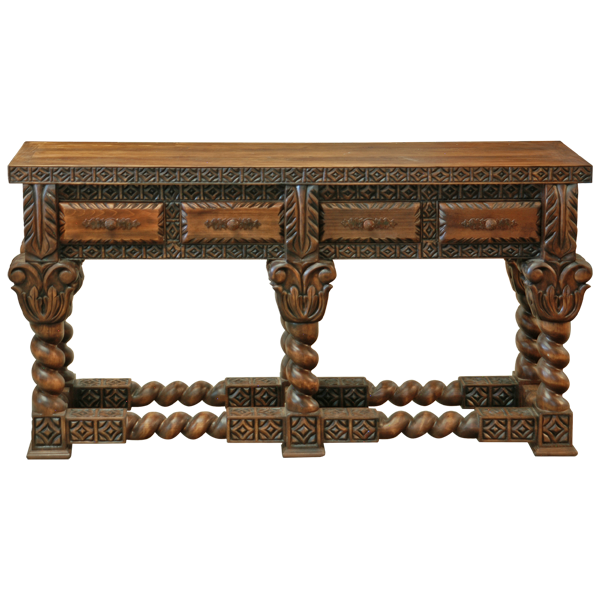 The area bordering the drawer is hand carved with intricate, geometric details, and the front side of the console is embellished with three, hand carved feather designs. Each lateral side of the console has a rectangular cut panel. The console has an open, wide top, with exquisite, hand carved, geometric details on the sides of the top rim. 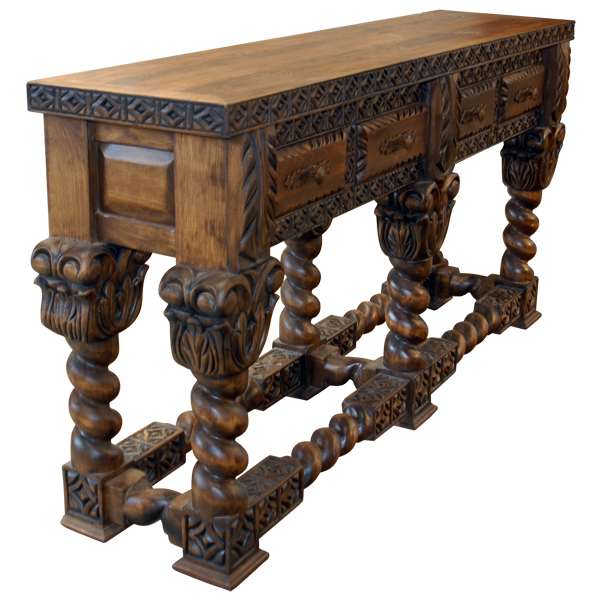 The console is supported by six, spectacular, hand carved legs. The top of each leg has a carved crown with marvelous details, and each leg flows downward with an elegant, hand turned, spiral design. 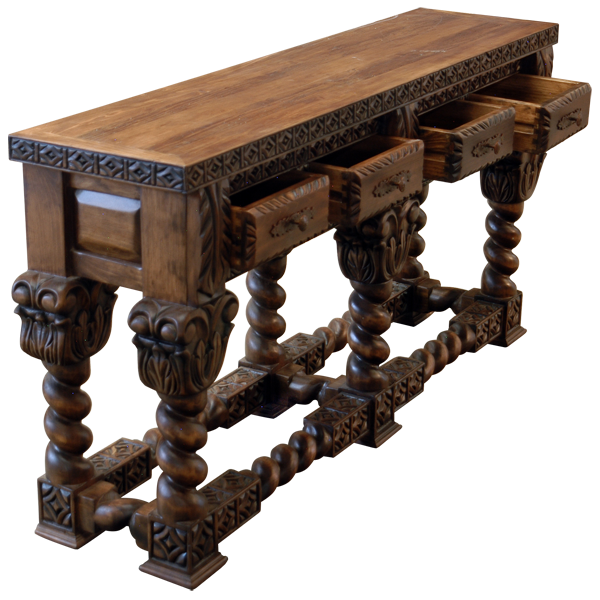 The legs end with square cut feet, each with hand carved, geometric designs. Also, the legs are joined by small, “H” shaped stretchers, and the opposing legs are joined by two gorgeous, hand turned, spiral crossbars with rectangular cut details. The console is made with the best, sustainable, solid wood available, and it is 100% customizable.